Last weekend in St. Paul, Minnesota there was a gathering of Italian-Americans and those who love Italy. Thousands of people braved the 95 degree weather with 100% humidity to rub shoulders with other Italian-Americans and enjoy the Italian-American experience. 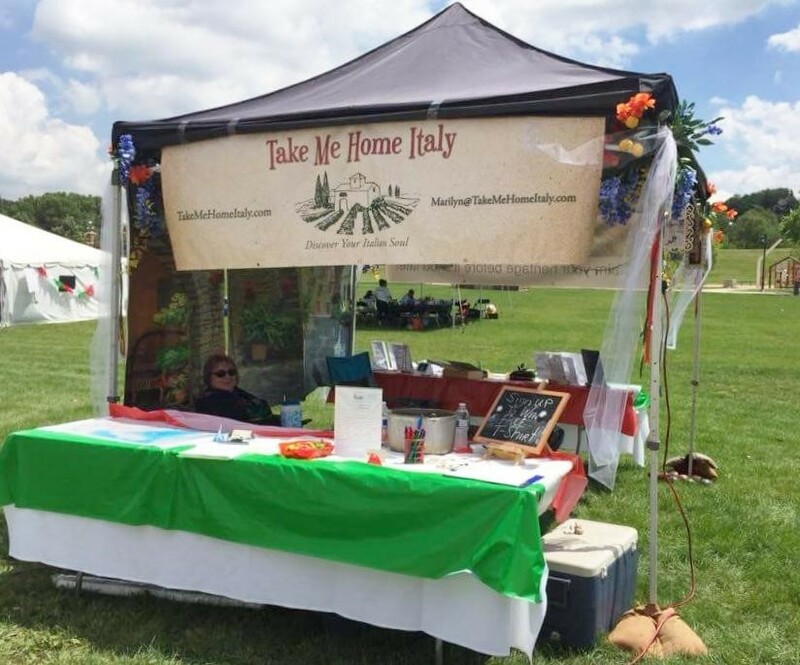 My TakeMeHomeItaly booth was there. As people stopped at our booth, I asked, “Are you Italian?” About 90% said YES! From there we discussed where our families came from and I was surprised by the responses I received. Every single one of them was interested in where the family came from. 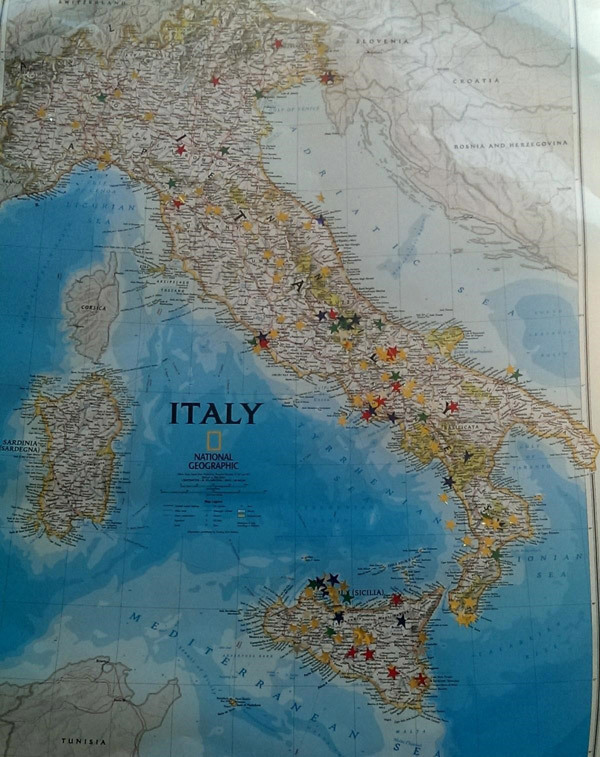 We marked a map of Italy with stars for where their family had originated. Younger people were calling home to ask their parents or grandparents for the exact location. If it was a small town, my visitors began using Google Maps to discover the exact location! Everyone had so much fun finding their true Italian home and seeing the stars of others nearby. 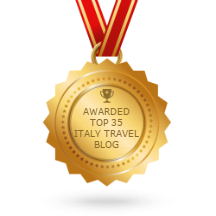 Most of my visitors had an interest in traveling to Italy. Many said they had been to Italy but when they tried to go to their ancestral home “It was too difficult to get there.” Or ” We didn’t know how to get there.” Or “We don’t know if we have any relatives still there.” When they found out I could help them travel there, finding family and even providing them with an interpreter, they were very excited. And that makes me happy. TakeMeHomeItaly is all about helping other Italian-Americans like me find their original homes. I love helping people to experience the thrill of walking the streets of their ancestors and meeting long lost cousins. I wanted to help all the people who stopped by. There were also many Non-Italians who wanted to visit or return to Italy. I spoke with many who had only seen a bit of Italy or had been on a generic tour. Almost every one of them wanted to return and wanted more freedom to see and do what they chose. They liked the idea that I could help them find hotels and transportation to the places they actually wanted to see and offer separate day trips to enhance their adventure. I am looking forward to working with them. And I am looking forward to helping you too. Where in Italy would you like to visit? Do you know of any relatives still living? Do you have stories from your grandparents about your ancestral home and would like to see what it was like? I would love to assist you in this adventure. Please see the website: www.takemehomeitaly.com and sign up. I promise to get back to you even if you do not plan to travel for a few years. It will be fun!